In today’s travel blogging tips article I am pleased to be interviewing Brendan van Son, author of travel site The World Is My Jungle Gym / Brendan’s Adventures. 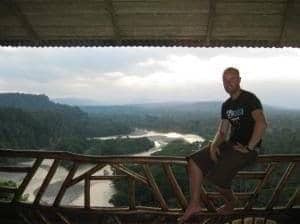 As well as running a successful travel site which details his many travels and photos from around the world, Brendan maintains and updates the list of Top 100 Indie travel sites. This is a list, updated weekly, of all the best travel blogs from around the web. Competition to get into the rankings is fierce. Brendan talks to me today about his take on travel blogging, including thoughts on traffic analysis, social media, and what running the Top 100 has meant for his site. I like to think that my site offers a range of different subject matters and angles. But when it comes down to it, it’s an ongoing story of my adventures and how I have turned the world into a jungle gym of adventure. As I would consider myself a travel writer and not a blogger I stay away from the “dear mom” type articles and focus more on descriptive writing, although I do use myself as a subject in my stories quite often. What drove you to start writing a travel blog? I have basically been travelling off and on since I was 13 years old. I started writing a blog to keep my family up to date on my whereabouts without spamming everyone with “dear mom” emails every couple of days. However, I grew tired of the typical “Today I went to the market and bought some fruit” type articles that I had been mundanely scribing, so I decided to write a couple of very descriptive articles instead. Upon reading the articles, one of my aunts sent in the articles to a couple of publishers. The first two articles I wrote in this style were published. And to be quite honest, I realized that I could probably make some money out of this. The reason I started my own page, if I’m being honest, was all about money. I kept looking at all the ads on the sidebars of the blog sites I was writing with and thought, I should be making the money from those ads! The blog started out as a method to make some extra cash, although it has evolved from that in a big way. How do you define success in terms of your travel blog? The day I have my own wikipedia page I will claim success! No, the truth is that I have felt like my blog has been a success since the very first day. The reason quite simply is that even if I never had a single reader it inscribes my experiences in stone so to speak. In writing this blog, years later I can go back and laugh at myself or think back about the times I had. I started out writing blog articles to let my family and friends know what I was doing, I evolved the articles in a way that I hoped would allow them to feel as if they are along with me on my journey. Over the past year my site gets constant comments and my contact form sends me many random messages saying things along the lines of “I felt like I was right there with you” or “I have been living this adventure through you.” That is how I define my success. The ability to bring others along with me on my adventures through my words and photos is absolutely priceless. Which, if any, metrics do you follow in terms of traffic analysis / site ranking, and how important do you think these are? I’ll be honest, I use analytics quite a bit. I wrote a post on the analytics that I use: Clicky Stats. They are amazing and offer features in analytics that are absolutely incredible. Whether analytics is useful or obsessive is up in the air. How I’ve used it, is to judge the efficiency of any sort of advertising or promotion. For example, when I started selling World Calendars on my website I did a little bit of advertising via google adwords. In using my analytics I could tell who came to my site via the ads, how long they stayed, if they clicked links, etc. I found that most came in for about 10-20 seconds and bailed, so I cancelled the ads. I have also used the analytics to gauge how effective posting a link on facebook, twitter, etc are, and I can use this knowledge to know where to invest most of my promotion. In terms of site rankings, I do use Alexa.com as a gauge, but I don’t put too much thought into it. I can generally tell how my site is doing via my analytics. Many people look into Compete.com too, but I do not since the ranking is based on American traffic only, and as a Canadian I resent that. How important do you think technical know-how and issues such as site design are for a travel blog? Honestly, I know absolutely nothing about the technical side of things. I run a theme template and then manipulate it. I have never read an html how-to book or anything. I have learned everything via trial and error. With the formats put forward by WordPress there is no real need to get too technical. My only advice is that if you decide to start playing with the html formatting on your site back it up before you do so, or you will lose everything. If there was one thing you wish you could have known before you started writing your blog, what would it have been? There are actually two things. I wish I would have known about how much better it was to self-host. If I had been self-hosting for the past 18 months instead of just the past 10, my google rank would be higher and, more than likely, I would have a bigger following. The second thing is RSS Feeds. I had no idea what a feed was, and for the first 5-6 months of my site I did not have my RSS feed worked out. However, after I figured that out I noticed a huge bump in traffic. I now get about 20-30% of my site’s overall traffic from my feed. You run the Indie Top 100 travel sites list, a great unique selling point for your site. How important has this been to the success of your site, and for what reasons? I would be lying to you if I said it wasn’t a huge part of things. However, if my site was just a list that was updated every week, it would soon fizzle. The success in my site has been because of the fact that I have something that draws people to the site, and other things that hold them in. The first time I posted the Top 100 – which was actually a top 50 at the time – I noticed all sorts of new people visiting my site. As they entered the site, they would check the list, but then they would click “about me,” read a couple of articles, and quite often subscribe. The Top 100 works to draw people to my site and the rest of the content holds them there and keeps them coming back. From a marketing standpoint, creating the Top 100 was my best decision of the year. How important is social media to your blog, and what advice would you give in this area? Social media is very important my blog, and I believe that I have made progress in large because of it. Really, I would be surprised if anyone outside my inner circle of friends and family would ever have entered my blog without it. The second thing is that you need to be personal in your social media uses. No one is going to pass on information from someone who just tosses random links out there. People are much more likely to pass on information from a “friend” than they would a stranger. As a test, watch your twitter feed and just start chatting to someone that you never have before, build a relationship and I guarantee that they will begin passing on your material. It sounds shallow, and almost as if you’re using people, but that’s not the case. I have forged many real relationships in this way, and have made a lot of friends via social media as well. How do you see travel blogging developing over the next few years? Travel blogging is easy. I’m serious when I say that. Anyone’s cat could write a travel blog. Over the past little while I have seen the market begin to saturate. There are thousands of people who run travel blogs. However, 90% of them are basically the same thing. I think that saturation will continue to grow. However, I think what we will start to see is growth of the “professional” travel blogger. There is money to be made for those who know what they are doing and have something a little bit different to offer. Personally, I put much more effort into my blog than I do publishing for magazines, simply because it is more mine, and I feel more pride in it. Up to now, many travel companies and agencies have avoided advertising on “blogs” however, as the level of influence of “professional” travel bloggers continues to grow, I can see that all changing, if it hasn’t begun already. 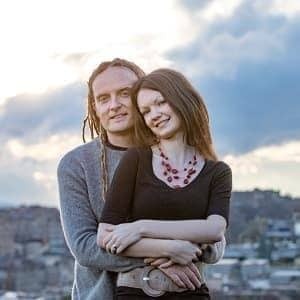 thinking about setting up, their own travel blog? Just do it. Don’t wait, any time that you spend “thinking” about setting up a travel blog is time wasted on building content and eventually driving people to your site. Go to Bluehost, Host Gator, or Go Daddy and buy a domain and host your site. It will only cost about 60$ and throw in WordPress, you’ll see how easy it is. However, if you do start a blog you have to be strict with yourself. Tell yourself I will update 2 times a week at minimum and stick to it. And, once you do set up enter my Top 100 list math, that’s a traffic generator in itself. For example, the #1 site on the list has been sent over a hundred people to their site via the list in the past month. And last week’s new entries each received 20 hits in just a week. Many thanks to Brendan for taking the time to answer all the questions I fired over to him. If you’re interested in learning more about Brendan and his adventures, pop on over to his site. You can also find Brendan on both Facebook and Twitter. For more travel blogging tips from the experts, why not check out the rest of the series, where I continue to interview some of the key names in the travel blogging world. If you have an opinion on this article, please do comment below. And if you’re a travel blogger keen to get involved in the series, head on over to the contact page and drop me a line. Happy travels! Thanks magdabis! Pleased you found something in here of use. Keep following the site, as I have lots more travel blogging experts contributing to the site over the next weeks!